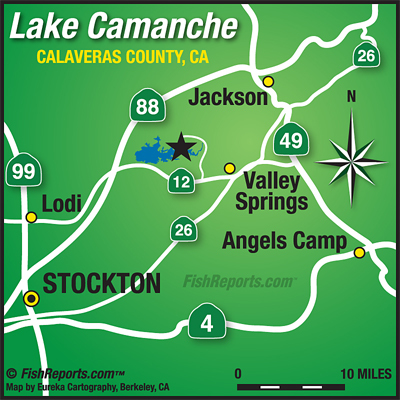 Camanche Lake near Clements, Ca. is kicking out rainbow trout averaging 2 pounds per fish, up to a few whoppers weighing a mind-boggling 16.55 pounds. Trollers are working 25 to 35 deep with Needlefish, Speedy Shiners and Cripple lures up to 3 mph. Several 10 fish limits have exceeded 27 pounds in weight.